If the truck is flex-fuel then you can run all listed tunes with a mix of E85 or even full E85. Running E85 will definitely result in a better performance and even bigger horsepower increase. Octane: Gas vehicle tunes are heavily impacted by the octane of fuel being used. If you want power, run higher octane. Running a higher octane allows us to advance the spark more which results in better performance. That being said, you should pick tunes for the octane you plan on running. If you always have and always will run 87-89 octane, then that is what you should choose. You can run a tune for 87-89 octane and fill the tank with 93, however you cannot run a tune for 93 octane and fill up with 87-89. Doing so will result in knock activity, a loss of power output and in rare cases, possible engine damage. Our recommendation for performance tunes is to run the highest octane available. If your truck is Flex-Fuel then you can run an E85 mix or full E85 on any of the octane ratings. 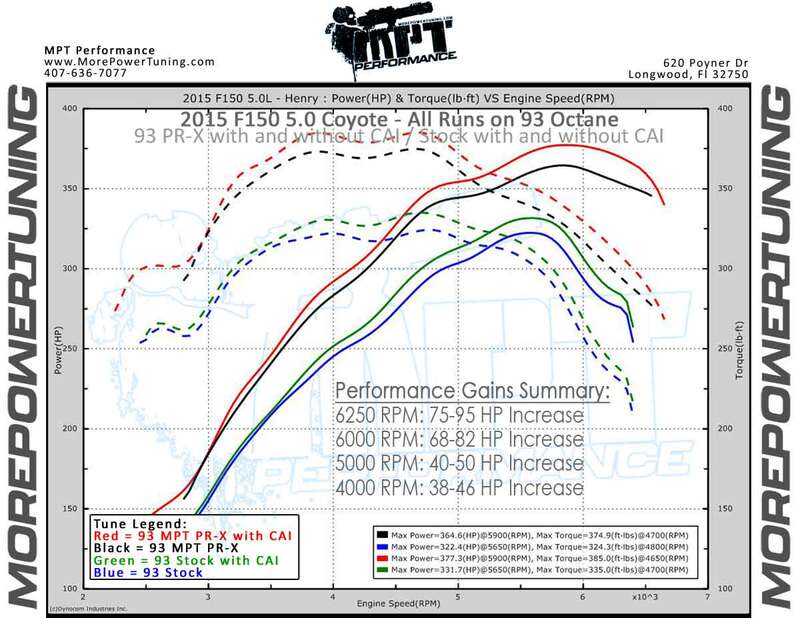 The higher the octane rating of the tune the bigger the increase in power will be. You do not need an E85 specific tune if your truck is flex fuel. 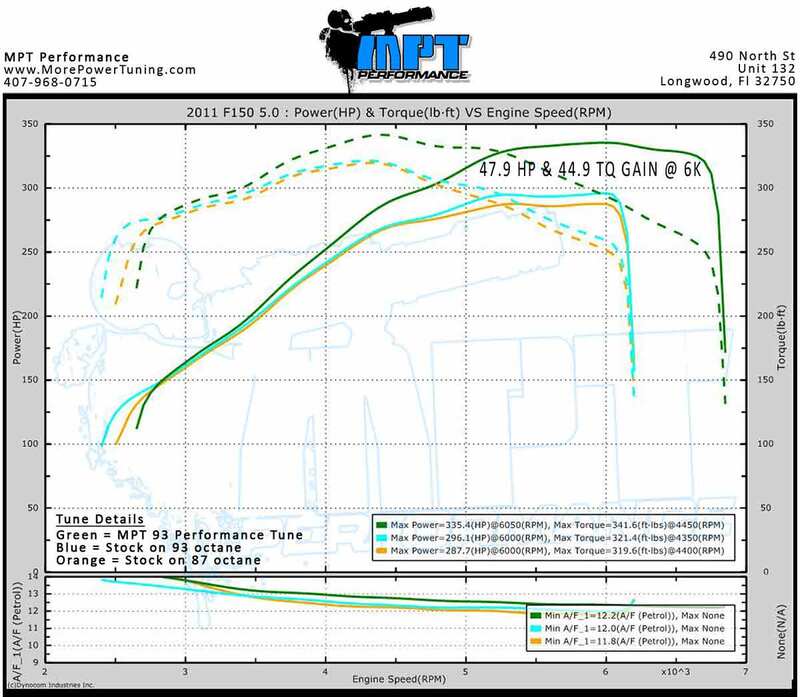 3rd Gear Dyno Pull, MPT 93PR-X 93 Octane Tune with and without CAI, Stock with 93 octane with and without CAI.